I talked to Hon.Ekanya this morning. We had a big laugh.He did not cross to anywhere.But Museveni, Kadaga, the RDC tried to conscript him by putting an NRM cap on his head and then have him photographed. Millions of people have been conscripted into NRM in a similar manner. Haven’t you heard that NRM has, so far over 10m registered members and they are still registering? Is there any sense in that? Last time they claimed to have 8m but only 4m supposedly voted for them. Mao’s Legal Adviser,Mbidde, will Slowly Deliver DP to NRM. Here is why? Please open your eyes, Mbidde will never stand on any other party ticket apart from the DP ticket, the strategy this time is to kill DP from with in. 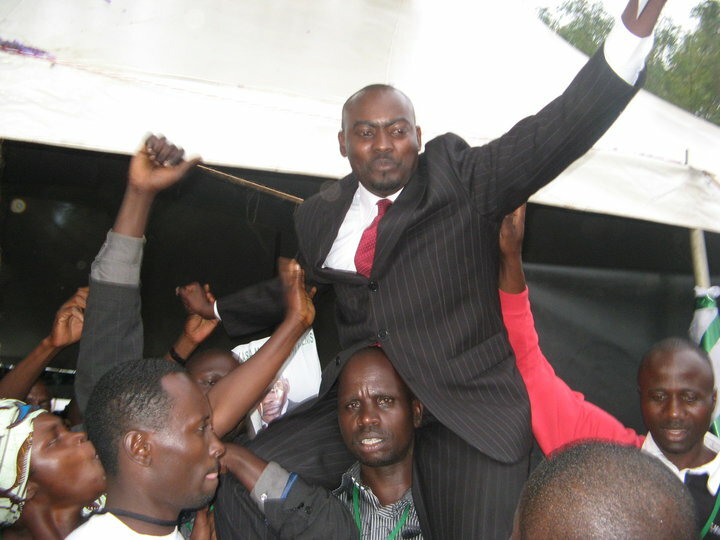 If Mbidde goes through as an MP, he will go to parliament but his presence their will be insignificant as his roll is beyond parliament. Let me give you a few important roles which he has played and NRM has benefited more than having Mawiya in parliament. He was able to push for the Mbale conference well knowing that there were simple internal issues that required to be resolved before the Mbale conference if you were to have united DP. He started attacking KB way back portraying him as a very bad leader in and hence destroying him in Buganda. Remember he failed to present any reason to justify it. He directly led the campaign to smear Nambooze and Lukwago with DP knowing very well that they were the key young DP Stewart’s in Buganda. The campaign was to isolate them and hence divide DP. He started the UB40 campaign in DP to isolate the elders in DP knowing very well that a party survives on all generations but not merely the youth. This consequently left out the likes of Ssemwogerere. He successfully convinced every one that IPC was very bad knowing very well that the issue will further divide DP like it has done. Today the stronghold of DP which is Buganda is going to be divided between IPC and DP hence further weakening DP. Ask Keneth Kakande why the had suspended him in UYD.I knew so well that NRM cadres were going to react to the story of the police raid on Mbidde’s house because they very well know that whatever was done to Mbidde was part of a ploy by their govt to distance herself from Mbidde. They want to start sighting instances like that one to prove that govt is looking at Mbide as a member of the opposition while he is not. I pity my friends in DP who still look at Mbidde as a DP. Bano abasajja ba NRM bagenda kubasanyaawo when they are fooling on your psychology. Mbidde is in DP but not to build DP. He is there to kill DP slowly and I have given you the instances above. Unlike the Mutagambwa, Mrs Muwonge, Luzige, Lutaya etc who were bought out of DP, this time NRM will weaken DP from within the party by using the divide and rule method and it is working successfully.